McFarlane Toys and Disney Consumer Products have united to create a spectacular line of toys based on characters and scenes from the highly anticipated 2010 major motion action/adventure film Prince of Persia: The Sands of Time, presented by Walt Disney Pictures, producer Jerry Bruckheimer, and directed by master storyteller Mike Newell. The film, based on the best-selling video game franchise of the same name, stars Jake Gyllenhaal, Sir Ben Kingsley and Gemma Arterton in an epic tale of adventure across the mysterious lands of Persia, where deceit and betrayal threaten the destruction of two noble kingdoms. 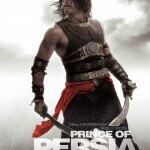 Award-winning McFarlane Toys capture every detail and the exact-likeness of the on-screen actors based on their characters including, for the first time, the Prince of Persia hero, Prince Dastan (Jake Gyllenhaal). McFarlane Toys’ Prince of Persia: Sands of Time toy line allows fans of all ages to bring home all the excitement and adventure of the live-action movie with a range of movie figures, battle horses, play sets, and even a collectible movie replica weapon all hitting retailers nationwide in conjunction with the movie’s release in May 2010. With more than 12 points of articulation and character specific accessories, kids will have hours of fun recreating and playing out their favorite movie scenes. All figures fit with horse boxed sets and play sets (sold separately). The line includes two figures of Prince Dastan, a Warrior Dastan and a Desert Dastan, Zolm (Lead Hassansin), Ghazab (Double Bladed Halberd Hassansin) and Setam (Human Porcupine Hassansin). Bringing to life the movie’s heroes and villains in this line, each figure is fully articulated and includes incredible costuming details and spring-loaded play action highlighting their unique weapons and accessories from the feature film. The 6-inch action figure line includes: two figures of Prince Dastan, a Warrior Dastan and a Desert Dastan, Zolm (Lead Hassansin), Ghazab (Double Bladed Halberd Hassansin). Your imagination leads the way for recreating favorite scenes with the 4-inch Horse Boxed Sets. 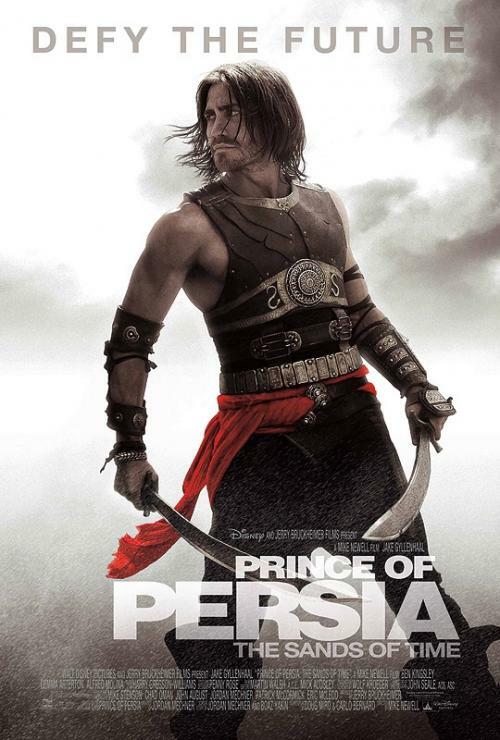 Engage in battle with the adventurous Prince Dastan and his archenemies, the Hassansins. Each boxed set includes a highly detailed battle horse with ornate exotic accessories and 4-inch articulated movie figure. Boxed set line includes two sets: Prince Dastan with Aksh and Zolm (Lead Hassansin) with Akvan. Bring home the fantastical world of Prince of Persia: Sands of Time with McFarlane Toys’ highly detailed Alamut Gate Play Set. The set depicts a key action sequence from the feature film and contains unique play action features including a spring loaded rock launcher, secret compartments, hidden traps, slides and working cranks. The Alamut Gate Play Set includes a 4-inch action figure. The Dagger of Time is a powerful weapon, capable of allowing its owner to harness the power of the Sands of Time, and manipulate time itself. Your mission is to safeguard the ancient dagger capable of releasing the Sands of Time. Designed to appeal to collectors, the 10-inch Dagger of Time is sculpted in the exact size and ornate likeness of the movie weapon and features a jeweled handle that lights up with a high-power L.E.D., disappearing sand, and soft vinyl blade. I'm always hesitant on movies based on video games. I honestly can't think of one movie that was even that good. Doom, Tomb Raider, Resident Evil, even Super Mario Bros. All of them were mediocre or really bad. We'll see if Bruckheimer and Disney can do a better job. I say regardless of how well or not the movie is, here's hoping the toy line will be something special. Can't wait to see the Dagger of Time image. I don't expect the dagger to be as same as the game, let's see how they interpret it. Sounds like the 4" scale figures might be a little bigger than MU and Joes. I'm surprised McFarlane is going that small. I don't believe they've ever done figures in that scale. I'm interested to see the final product. McFarlane does 3 inch sports figures. Granted, they aren't action figures, but more like small statues. In my opinion, I think McFarlane is old news. You don't see Dragons, Spawn, Military, or any other kind of collectors' figures besides the sports ones and Halo anymore. Companies like Neca, Diamond Select, Mezco, DC Direct, etc, are the ones to look at for collectors figures right now. Whoever owns PoP should've known that. I used to be into McFarlane big time. When the first series of Spawn figures were released I couldn't believe how detailed and awesome they looked. I was instantly hooked. I collected the entire series up until about series 8 or 9 and then started to get bored with them. I was crazy about the Movie Maniacs line and have every figure up until the AvP wave. Neca pretty much took over now with regards to horror and cult movie figures, although Mezco does alright too. McFarlane just hasn't put out anything of interest to me in years. I don't care for their sports, military, dragons, or anything they've been producing. The Halo figures look cool but I don't have any. On top of that, the fact that they laid off most of their sculptors and now use digital scanning to create their figures in kind of a turn off for me. The details almost never translate well that way, especially in the face. McF is also making 6 inch deluxe figs I'd like to point out, but I'm only interested in the 4 inch ones because they take up less space & the 6 inchers have an "action feature".